Michelle is a true example of the values and ideals that GIFT aspires to. Having been educated at Haberdashers she took a gap year to study at Brovender’s Seminary in Jerusalem before gaining an undergraduate degree in Psychology from Manchester, an MA in Social Work from Brunel University and an MA in Psychotherapy and Counselling from Regents College. Shocked by the volume of wasted food in supermarkets and restaurants and inspired by R’Naftali Schiff’s vision, GIFT started from Michelle’s kitchen table in 2004, gathering excess bread from bakeries each week and redistributing it to struggling families whilst continuing her work as a probation officer. However, very soon it became apparent that her passion for giving and her need to inspire others, were too strong and Michelle became GIFT’s very first employee. 15 years later that passion has created an organisation that has left an indelible mark on the Jewish community and the name Michelle Barnett synonymous with giving. The opportunities and acts of giving that GIFT has created now rank in their hundreds of thousands. Hundreds of families in need across the community have benefited from the thousands of hours that GIFT’s army of volunteers have given, supporting them in numerous important ways. Born and raised in South Africa, he graduated with a degree in accounting and economics. After acquiring a black belt in judo, he represented South Africa at the Maccabi games in Israel in 1997. 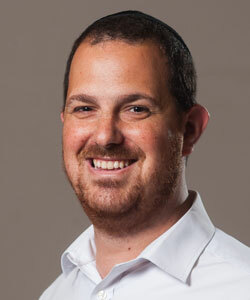 Rabbi Milun joined the Jewish Experience of Madison (JEM) in 2007 as program director and after 3 and a half years living on campus with 5000 Jewish students became JLE’s Campus Director. Sandor now lives in London with his wife and children and is excited to be joining the GIFT team as Managing Director. 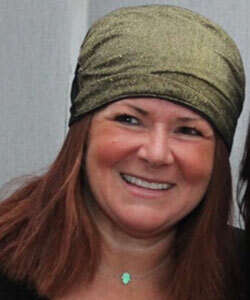 Rabbi Avrohom Zeidman has a wealth of experience teaching all ages and stages of life. As a previous Head Boy of Hasmonean, he gained 3 semicha’s after studying in various yeshivot in Israel. On his return to the UK he worked for both Seed and the United Synagogue educating young people, young professionals and parents. During this time Rabbi Zeidman designed many youth programmes and ran sessions for a wide demographic displaying his passion for teaching. A strong creative personality, he created ‘Simcha cards’ selling more than 20,000 and compiled and designed the artwork for the very popular book ‘Foundations’, now used as a syllabus in many Jewish High schools in the UK. 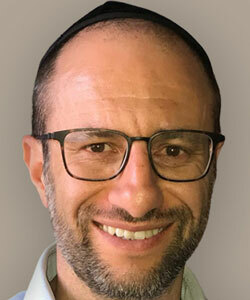 Rabbi Zeidman’s time with GIFT has seen him create an entire curriculum based around educating the next generation of givers, which the GIFT Education team teach in a variety of schools. Inventor (amongst others) of the unique sessions Small Change, Big Difference and the increasingly popular Supermarket Shopping Challenge, his enthusiasm is infectious and teachers often comment how inspired the students are after one of his sessions. Married to Rivka, a trainee Psychotherapist and father to 5 lovely children, Rabbi Zeidman is also a talented balloon modeller and beatboxer. He used to be a vegetarian, but isn’t now. After taking her gap year in 2003-4 to study at Michlala Seminary in Jerusalem, Shira returned to the UK to attend Central School of Speech and Drama. Her love of volunteering caused her to spend all her free time (and some of the time she should have been in lectures) supporting every charity under the sun (ironically except for GIFT). 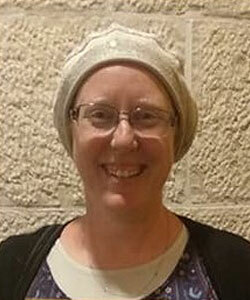 Shira is a passionate, heartfelt and effective educator, having previously been a Madricha for Aish UK, Bnei Akiva and Kinloss, she combined her easy going and warm personality with her love of educating and in 2006 took up the post of ‘Informal Educator’ in Hasmonean High School. In 2008 Shira and her husband Rafi moved to St Johns Wood to become the Youth Directors (a week before her eldest daughter was born), a post she thoroughly enjoyed before becoming Directors of Young Professionals where she and Rafi created numerous successful networking and single events and education programmes. Shira has been working for GIFT for the past 4 years, starting as Informal Educator. Over the years Shira has lent her passion and expertise to many areas of GIFT and has recently been appointed Services Manager; overseeing the volunteering, families and food distribution side of the organisation whilst simultaneously continuing to educate the next generation about why being one of life’s givers is so important. Shira and Rafi are also raising their 3 children, all of who enjoy volunteering at GIFT packathons. They say that their mum has the best job in the world but Shira knows this is actually because of all the sweets in the warehouse. 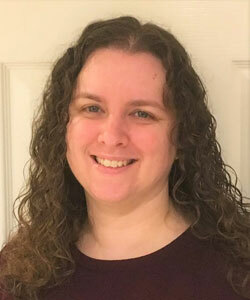 Shoshanna was brought up in Manchester and studied in both the New Gateshead Seminary and in Israel gaining a BA degree in Liberal Arts with a core of Jewish Studies and Psychology. In 2009 Shoshanna became a Madricha for a summer camp in Belarus and was so inspired by her time making a difference to the children, she stayed for 3 years building relationships and educating in the girls boarding school. It was there that she learnt Russian, and discovered she loved to teach. 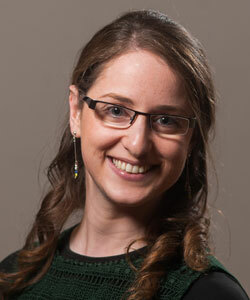 On her return to the UK, Shoshanna moved to London and took a post teaching Jewish Studies in Menorah Primary School. Post Menorah, she taught JS in JFS for 3 years whilst obtaining Qualified Teachers Status through the LSJS. Shoshanna’s journey with GIFT started when she volunteered packing and distributing food. She quickly became so inspired by the difference that GIFT makes to the community through its range of giving initiatives, that when the opportunity to become a GIFT Informal Educator became available, she quickly applied for the post. 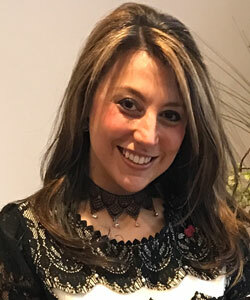 Shoshanna brings enormous enthusiasm to her teaching, building relationships and developing her students’ attitudes to giving through all areas of their lives. Shoshanna has also taken on the mantle of ‘B’nei Mitzvah Impresario’ bringing inspiration and enjoyment to hundreds of children by offering them opportunities to give at the many simchas throughout the year to which GIFT are invited to. Prior to his 13 years of senior management experience in the voluntary sector, Adam worked for over 19 years in a variety of private businesses including insurance, recruitment, property and sales. His first non-profit experience was as Aish UK’s first COO, a position he held for 6 years. During that time Aish UK enjoyed unprecedented growth and Adam is credited with having played an important part in that success, helping to develop and implement strategic initiatives and empower the staff to achieve the organisation’s 5 year plan. 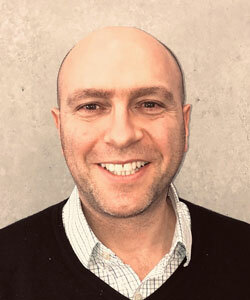 Since his time at Aish UK, Adam has held positions as Head of Operations at Camp Simcha and as Commercial Director for PAC-UK the UK’s largest independent post adoption support charity. Since joining GIFT in September 2017 Adam has developed the infrastructure and operations; and works with the team to ensure the organisation’s overall well-being. Outside of work Adam enjoys cooking for his family, is a master at making children laugh and has a strong interest in the world of adoption. Before moving to London from her life in Manchester 3 years ago, Roxanne worked for Chabad for 17 years. Her accomplishments were far ranging, from setting up a day centre for the elderly to recruiting and coordinating a large pool of volunteers. Roxanne organised a number of services and coordinated her volunteers to help take residents to hospital appointments, make home visits and to bereavement counselling appointments when required. In 2003 Roxanne became a registered Jewish Chaplin at Wythenshawe Hospital and her weekly visits soon became the highlight of her week. 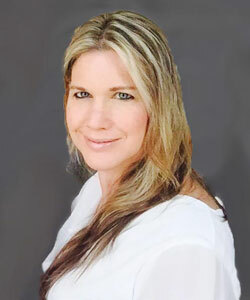 Roxanne’s natural empathy and positive manner, coupled with her gregarious, out-going nature and her deep care for people made a huge difference to the lives of those she engaged with. In 2016 Roxanne made a life changing decision to leave Manchester and come to live in London. Soon after, she joined the team at GIFT initially as the Volunteer Coordinator and more recently as Events and Projects Coordinator. Roxanne is a natural born giver and an excellent networker and organiser and is delighted to have found another organisation that inspires and motivates her. Roxanne’s infectious and bubbly personality makes everybody’s day a bit brighter and the team can always be assured that whilst Roxanne works for GIFT, no-one is ever going to celebrate their birthday without a dutch pound and some interesting singing. Miri (whose real name is Michelle) studied at uni in Manchester and graduated with a BSc in International Management with German. Miri started her career on the graduate marketing scheme at Ford Motor Company where she worked for 7 years. However her strong passion for community and volunteering won out and after having a short career break to raise three children, moved into the not-for-profit sector. 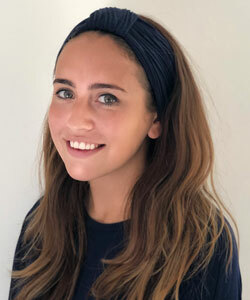 Prior to joining GIFT, Miri worked in the eVOLve team at JLGB, co-ordinating volunteer awards for teenagers including Yoni Jesner, Duke of Edinburgh and Vinspired awards. 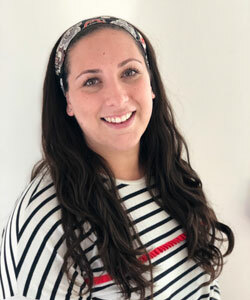 Before moving to Borehamwood last year, Miri was very involved at Chigwell and Hainault Shul including time on the Board of Management, organising social and educational events for young families and as Project Chesed Co-ordinator. Miri is also a trustee of Onechild Ghana, an International Development Charity, that she helped set up with her husband and in her ‘spare’ time sits on the PTA at Rimon Jewish Primary School. Having spent all her life as Michelle, Miri is slowly getting used to her new name which she was asked to change when she joined GIFT. With the same name and same initials as GIFT’s Founding Director, it was all too confusing for everyone. Originally from South Africa, Yasmine immigrated to Israel in her early 20’s where she not only studied Hebrew on Kibbutz but also met her husband. Staying in Israel until after the arrival of their son, they then made the move to the UK, settling in London. 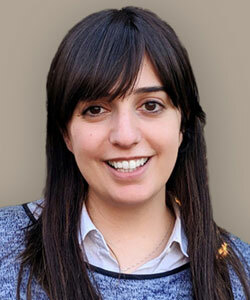 For the last 9 years, Yasmine has worked as the Centre Manager for the Jewish Marriage Council. During her tenure, Yasmine studied for a Diploma in Counselling and since graduating, has worked in private practice in Bushey and Watford. Yasmine has also volunteered on the Jewish Helpline, Jewish Women’s Aid Helpline and as a counsellor for the Jewish Bereavement Counselling Service. She has recently joined GIFT and believes her professional background and experience of counselling will complement the role as a Family Liaison Officer. Yasmine loves the ocean and hopes to one day return to Israel where she will spend her senior days in a cosy home by the sea. Born and raised in Manchester, Sophie attended Yavneh High School and went on to study media and fashion make up in Manchester’s northern quarter. In 2011, inspired by an Aish trip she became a Madricha for Aish Manchester whilst starting a freelance makeup business. In 2012 Sophie decided to further her Jewish education and took a year out studying at Midreshet Tehillah Seminary in Har Nof. In 2013 Sophie married Alex Woolfstein spending 6 months in Israel before returning to Manchester, where they now live in Whitefield with their 2 young children. 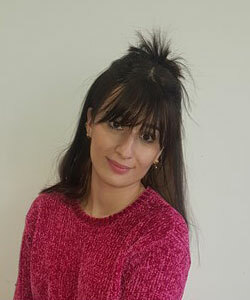 Sophie has been working for GIFT since 2014 and loves being involved with GIFT Manchester’s various programmes such as the Foodbank, Bat Chayil programme and various education initiatives across primary schools and high schools. Sophie’s bubbly yet determined personality has helped make a difference to GIFT Manchester and she has enjoyed watching it grow over the last few years. 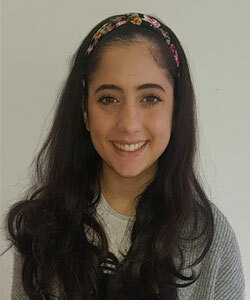 She relishes meeting new people and understanding what makes them tick and as such has recently started to mentor for Keren, a charity supporting vulnerable girls in the Manchester community supporting girls within the Jewish community. Born and raised in Manchester, Aliza graduated from Yavneh Girls High School, and went on to study in Michlalah Seminary in Beit V’gan, Jerusalem. Upon returning from seminary she became a big sister for the charity Camp Simcha, helping to support families whose children suffer from serious illnesses. In 2011 Aliza married Moishe Noe and now has 2 beautiful boys. Aliza joined GIFT Manchester in 2017 and loves the variety of work that is involved with running a busy regional office. She often wears many hats but particularly enjoys her involvement in the Bat Chayil Program and the education sessions run by GIFT in Primary and Secondary schools across Manchester. Aliza enjoys entertaining Shabbat guests and prides herself on being a friendly and approachable person. Aliza has a love of baking and can often be found whipping up a batch of brownies for the office to enjoy. After attending Hasmonean High School, in Leead went on to study for A Levels in Art, Health and Social Care and Drama. During her gap year in 2015 she attended Midreshet Tehilla in Israel where she also worked as a Madricha. A qualified swimming instructor, Leead’s naturally kind personality has seen her befriending and caring for children with disabilities and she cites her passion for dancing coming from living with 6 siblings who would regularly entertain themselves at home with song and dance routines. Leead has a fun and engaging personality and she loves being around and meeting young people and as with all things Manchester she loves to bake! Born and raised in Manchester, Rosie, who has a twin sister, attended Yavneh Girls High School. After graduating, she spent the year In Israel studying at Midreshet Moriah which at the time was located in Share Tzedek Hospital. Upon her return, Rosie did a Law degree at the University of Manchester. She then went onto complete a Masters in Broadcast Journalism at the University of Salford. In 2013, Rosie married Yanky Halpern and the couple have a little girl called Orli. When Rosie isn’t working for GIFT, you can find her at BBC Radio Manchester reporting on the region’s news. Hannah was born and educated in Liverpool at the Kind David School. After a year’s study at Midreshet Lindenbaum in Jerusalem, Hannah moved to London to continue her studies at the University of London. After graduating, Hannah made Aliyah with her husband, Yisrael. Hannah now lives in Jerusalem with her 6 children. In the past, Hannah has held various key educational, charitable and communal roles. Her creative and innovative programmes have drawn hundreds of participants and she continues to inspire and promote personal and communal growth in all areas of Jewish living. "No act of kindness, no matter how small is ever wasted"